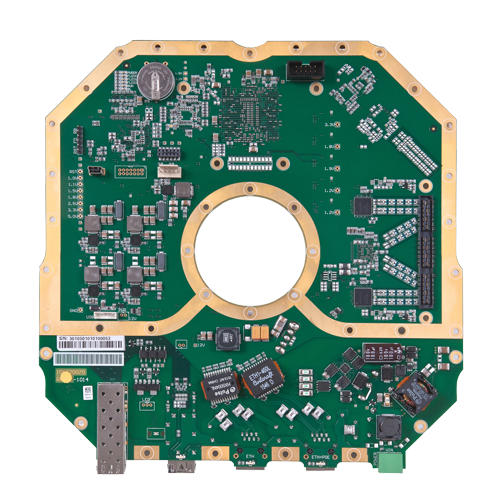 SPU (AT104) is a Dual Carrier, Outdoor Modem Board with implemented XPIC functionality designed for rapid and easy pairing with customer´s RF part and fit for integration into waterproof enclosure. The dual carrier modem solution has two integrated modems on one baseband and thus delivers the excellent ability to combine it with two RF parts for aggregate or protective operation between two links. The solution allows to build complete full outdoor wireless links in protective (FD/XPIC), aggregate (2+0/XPIC) and non-redundant (1+0) configurations. The solution is designed to address universal applications not only on Ethernet platform but also allows building of Hybrid systems. That means that the user can scale the pure IP radio system with additional interfaces (e.g. DVB-ASI ports for HD video broadcasting and E1/T1 ports for TDM applications) when the service is requested. Thanks to its unique architecture and license keys the solution is fully scalable and allows a seamless upgrade of transmission capacity and unlock or implement the additional functionality when the service is requested.